We have been working with Protos for many years and their customer service is excellent. Protos produce and hold my film in stock for me, which is particularly useful as we never run out. 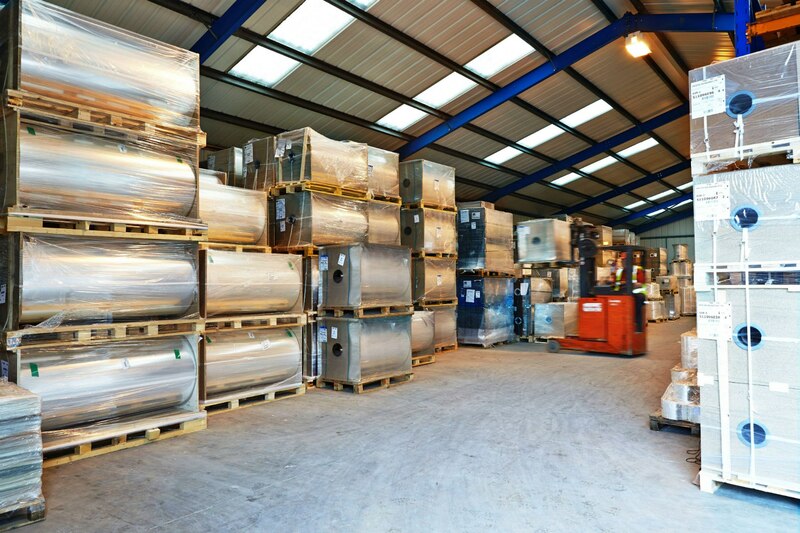 Housed on the same site as our conversion facilities, our secure BRC-certificated 800 sq metre warehouse allows us to stock between 300-400 tonnes of raw material in various film substrates and specifications. Our large stockholding of raw material mill rolls not only acts as a buffer when market conditions are volatile but enables us to react quickly to our customers’ needs – a cornerstone of the legendary Protos fast and reliable delivery service. As part of the service, we want you to think of our well-stocked warehouse as your own. We offer a Stock and Serve facility by which we manufacture an agreed quantity of your packaging product – for instance, single-wound reels slit to your specific widths, bags printed to your own design, or centre-folded reels in a specific multi-perforated hole pattern – and hold your goods in our warehouse awaiting your call off. Part of the deal is that we will alert you when your stocks are running low and recommend a “top-up”. Stock and Serve gives you peace of mind that you will never run out of packaging products, and leaves you free to get on with running your business.